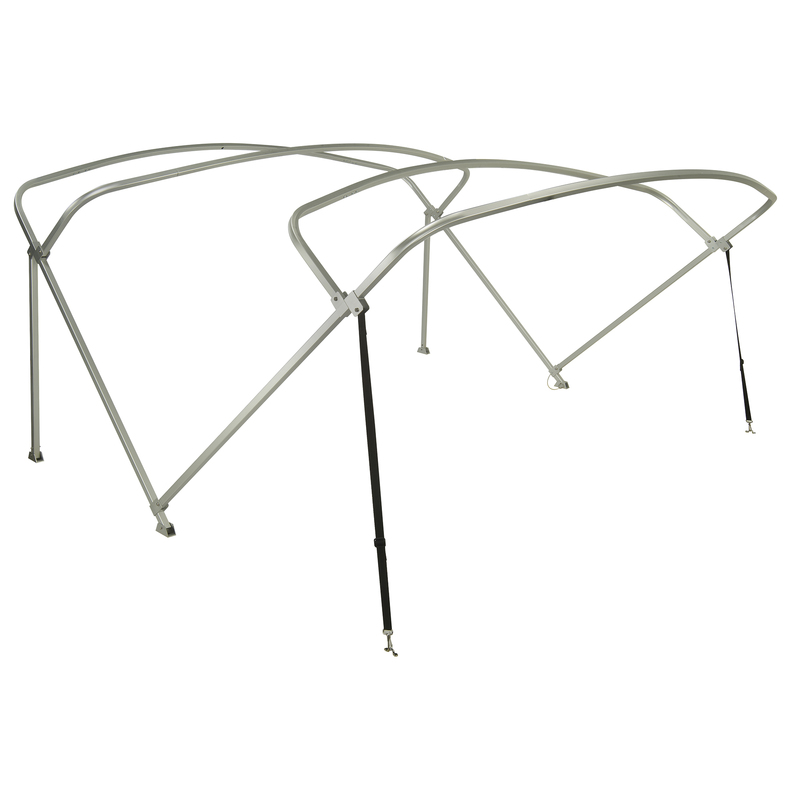 Shademate Bimini Tops have been updated with curved frames to match the contemporary lines of today's boats. 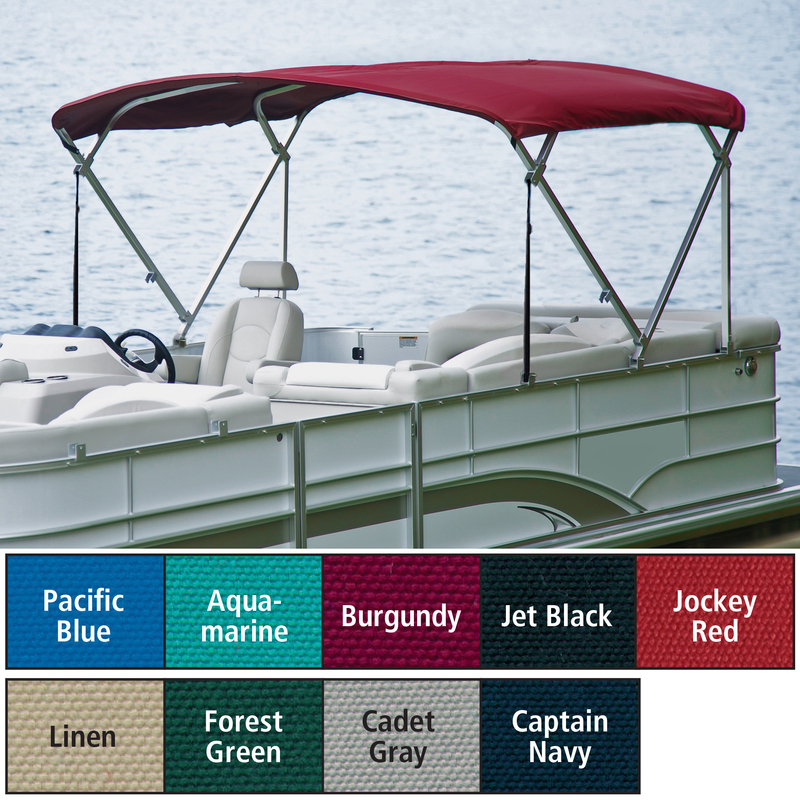 Built tough with marine-grade materials, these sleek-looking pontoon bimini tops come with a Sunbrella Acrylic fabric top. Long-lasting 100% Sunbrella Acrylic is a premium 9.25 oz. per sq. yd. material that's solution-dyed for excellent fade and weather resistance. 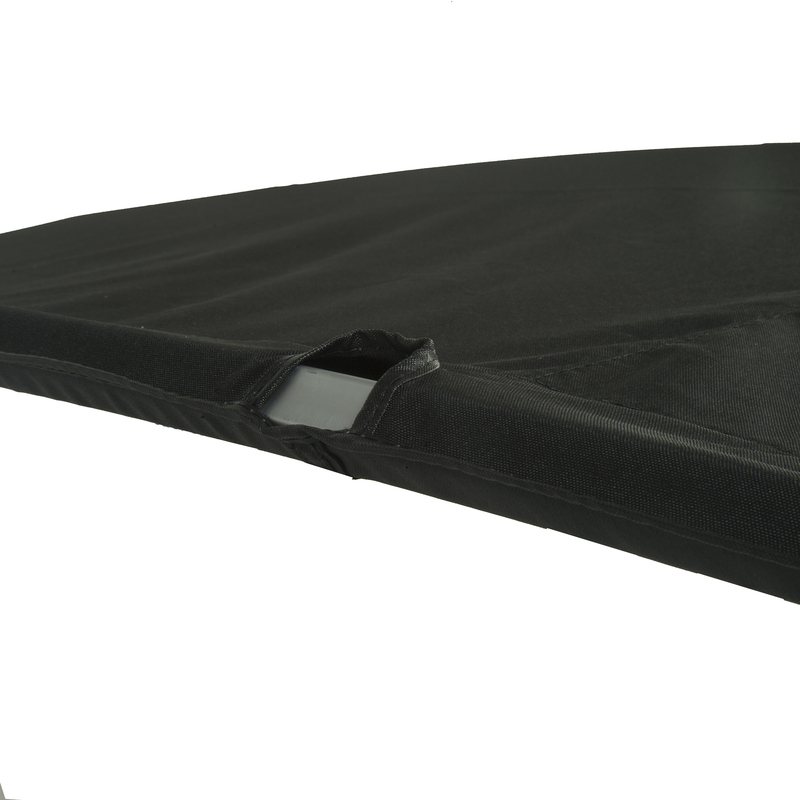 Strong, water-repellent, and mildew-resistant, Sunbrella is world renowned for prolonged protection against sun rot due to ultraviolet rays. Sewn with Profilen Extra thread that's guaranteed to last as long as the fabric. Comes with a 6-year warranty. 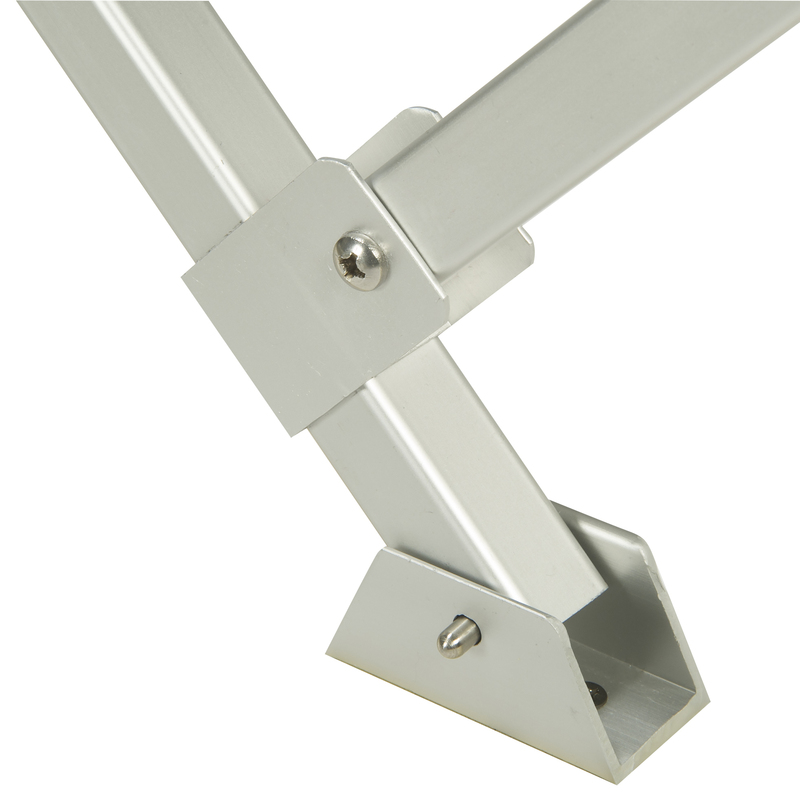 The well-built anodized aluminum frame is made with 1" square tubing to match your pontoon railing. Pontoon tops are 8' long. 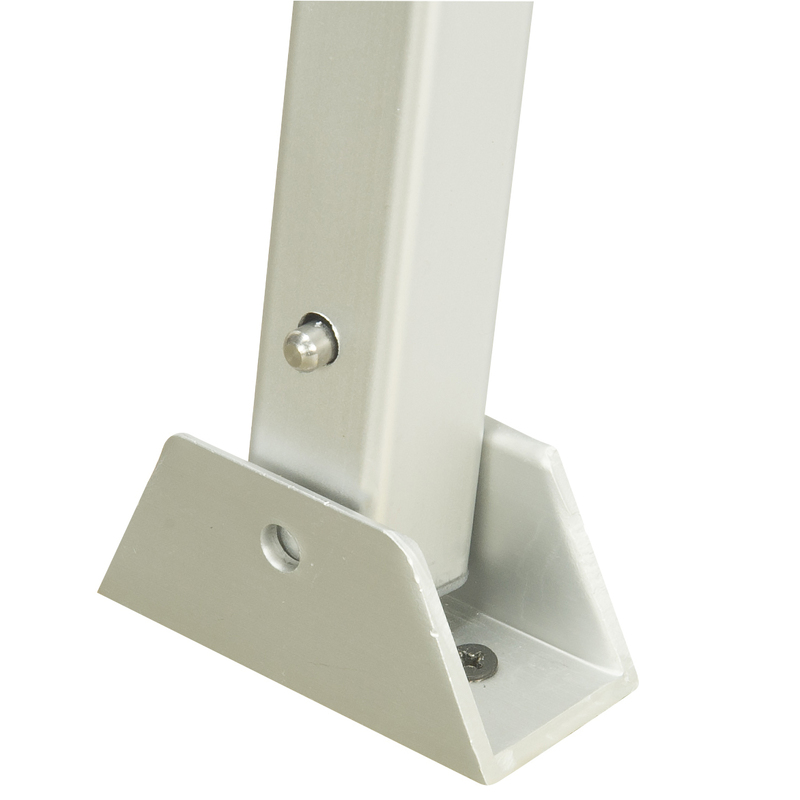 Standing height: 75". 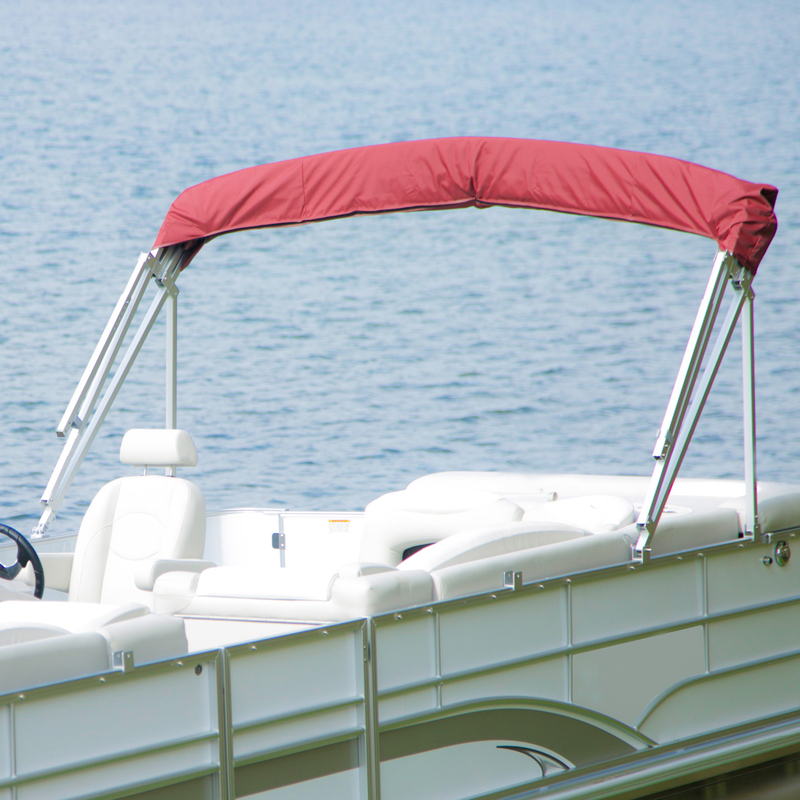 Each pontoon bimini top comes with wiring and cutout for navigation light and a FREE matching storage boot. 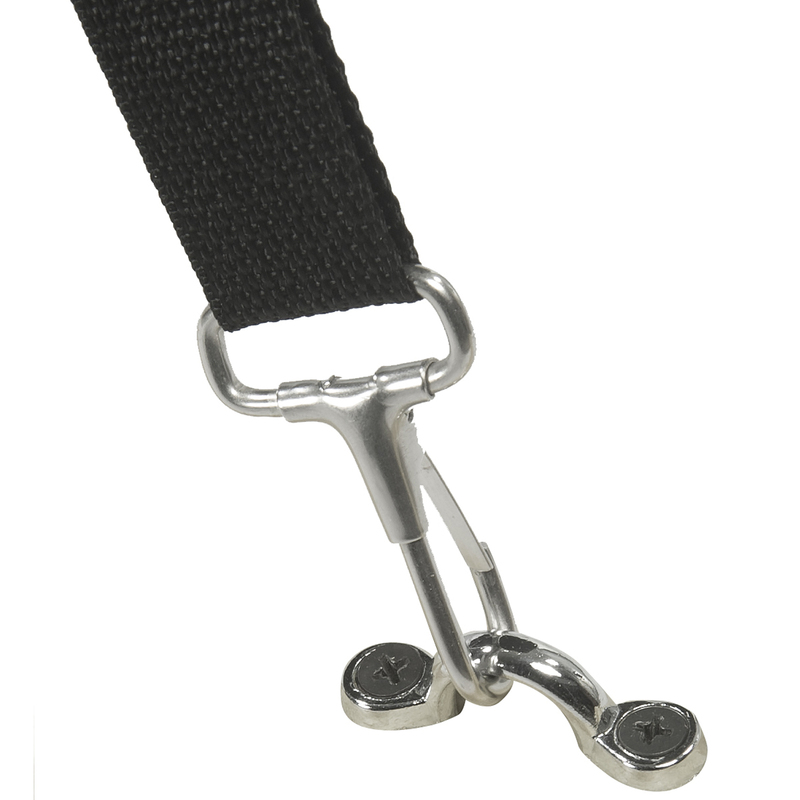 Does the product # 97825 come with rear supports poles, and does the fabric use zippers to attach to frame instead of sliding in pockets? How long will this be backordered? We do not have a date but we hope to have this item back in stock very soon. Does this top come with the hardware needed to secure it to the boat? Yes. 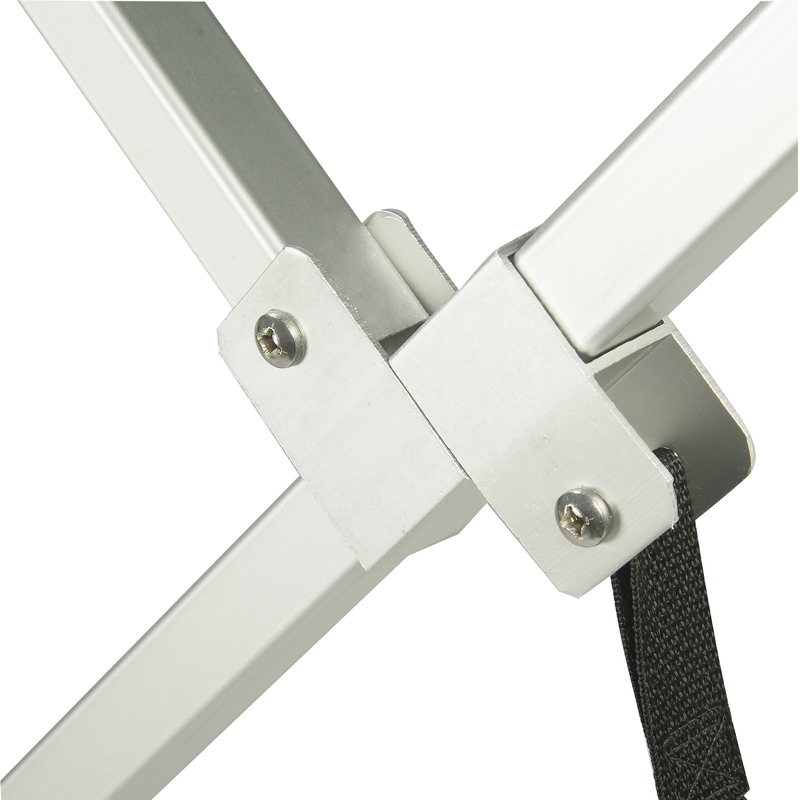 The bimini top fittings are included. 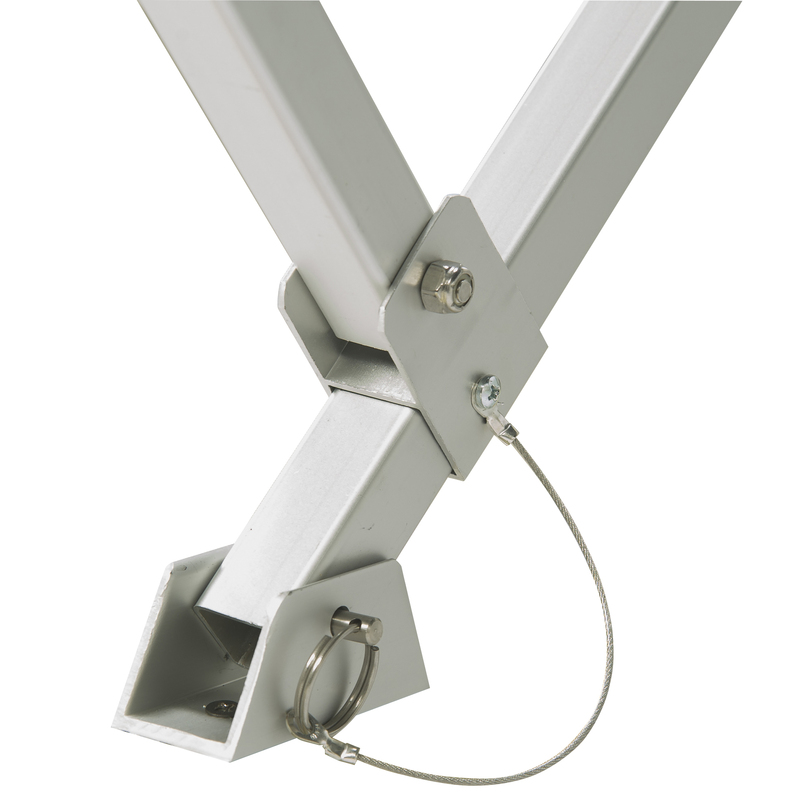 Is the top mounted to the frame or is assembled after unit is deylivered. The fabric top is not pre-installed. It has zippered pockets so it is very easy to install versus the ones your have to slide over the frame bows. Does the top have the cut out for the light pole?